this week as i finished putting together this little video from our time in england, my heart just felt so heavy and i wasn’t sure if i should even go through with sharing the video on here at all. it’s footage of our favorite and happiest moments as a family experiencing and enjoying a city that is going through a lot of hurt and heartbreak right now. what has happened there recently is just devastating. i can’t imagine what they are going through. we are sending all our love and prayers to the families of those who have lost their loved ones in england and also to the people around the world who are experiencing heartbreak and suffering for so many different reasons. some people might be quick to offer critiques to my choice of posting a video from our family’s trip to london and say it’s bad timing or insensitive to those mourning or tone deaf to current events taking place all over the world, and while everyone has a right to their opinion, i feel that one of the best ways i can pay tribute to london, is to celebrate what an incredible city it truly is and to honor that beautiful place by focusing on all that beauty and good that london and its londoners offered us and continue to offer every day. we can’t let this hate and ugly and bad in the world win. and while i don’t have all (or any, frankly) of the answers when it comes to how to best fight it and carry on and make things right in the world, i do think there is power in focusing on love, the good things and people of the world and in not shying away from sharing just that. thank you to the amazing city and people of london for making our time there feel so special. it’s a brilliant city, and we celebrate it. yes! thanks for sharing, naomi. ❤️ It’s the only attitude to take during times like this! This is what London is to so many people, a place that holds great memories. Thanks for sharing. I see no reason not to post it. :) I think you’re doing just what you said: paying tribute and offering your support and love by showing just how wonderful the city is. Really enjoy your blog and the goodness that is so apparent through it. :) God bless you, London, and us all. Your precious family is light! I agree, its the best way to show everyone so beautiful is London. And give them all our prayers. Thank you so much for your message, Naomi! What is currently happening in our country is devastating, but this can only make us stronger! As a Londoner, born & bred, I want to say if ANYONE tries to tell you this is insensitive they have no idea what they are talking about. As a city we are a empathetic and resilient people, we will not cower in fear of anyone who tries to tell us our way of life is wrong and, if you could have gone back to Borough Market a couple of days after the attacks, you will have seen that life in this city goes on! Thank you for visiting our city with your family and I hope we see you again soon! We love to travel with our family and you do inspire us. Expecting #2 next month and I am daunted by a trip to Australia already booked for October, but your videos and experiences show that it is possible to do, and with a smile on your face. With lots of love all the way from Denmark! You could also celebrate it by not making a video showing such conspicuous consumption on the part of you, your husband and your children. This video will make you money. I hope you’re donating all proceeds to a legitimate charity helping those affected by terrorism and not some Mormon tithing thing. I like your blog but your disclaimer is tone deaf and smacks of opportunism. You didn’t need to post a heavily edited video with jaunty music on your for-profit blog to pay tribute to anyone. Show some class, for once. Born and bred Londoner here, commenting to say thanks for posting this. So pleased that you and your family enjoyed this city. My heart goes out to those hurt and the families of those killed in recent attacks. This city is bigger than that event and stronger than those awful attackers and although there is hurt here there is an awful lot to love. I don’t want people to think of this place just with pity, I completely agree it should be celebrated. Lovely video. I think it is important that you recognized what is happening in London. Having been there so recently and having found a connection there it would be tone deaf not to say anything. 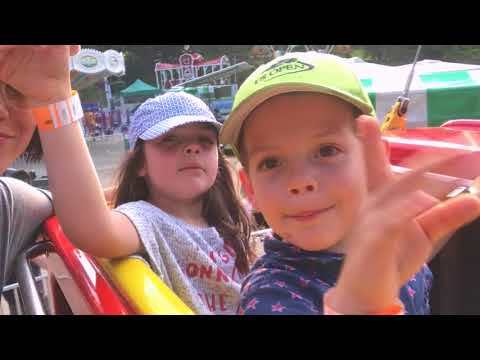 I think sharing this little video of your sweet family enjoying London is a great way to recognize pay tribute to and celebrate London! Your kiddos are sweet and darling always. Not from London but the UK, and London is one of my favourite cities. I think it is a lovely tribute to post this! Please don’t worry. I know you’ll probably get one or two negative comments but honestly I think some of those people would find something negative to comment about regardless. I hope you come to England again soon! You should try Yorkshire, York and some of the seaside around there (Whitby particularly) are amazing, I think you’d love it! 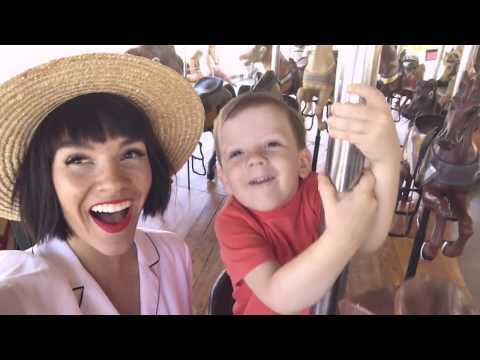 Such a sweet video and a fun little trip for your family! This was incredibly beautiful! So well done. Coming from a place of love is what will heal these deep wounds. Bravo to you! I love reading your blog, you and your family are such wonderful lights in the world- you’re amazing! this video looks amazing, and your thoughts about sharing it are exactly what i was thinking- its a celebration of the city. father’s day gift guide on my blog today! Thank you for posting Naomi! I agree – such a lovely way to honor an amazing city with incredible people! I really appreciate you choosing not to put any affiliate links for clothing in this post. I think it was a great decision to not capitalize off of the heartfelt sentiment and to let the video truly celebrate the city of London! Such a great city indeed! And because your video is an ode to life love and enjoyment (don’t know if this words exists) it’s a good thing to share. Thank you! I’ve read the blog for years and never commented but I want you to know what joy this video (and all your posts!) brought me this morning. In a world that can feel dark sometimes, you and your family are truly a shining light. Thank you for sharing your beauty and the clear love your family has for life and one another with us!!! I think it is wonderful to show that London is a beautiful place and that just because the recent events scare people doesn’t mean those acts should define the city. I dream of traveling the world one day with my daughter, but it does frighten me to think of what that means in terms of our safety. This just goes to show how truly beautiful experiencing the world with your family can be. So happy that you like London! Some time british are weird and hard to understand! Nice video! That was such a sweet and lovely video! Your family makes my heart happy. Thank you for sharing so much with us. While I’m glad your family had a safe and fun trip this video does feel insensitive to those who frequent the places shown in your footage and the people who were caught up in the terror of last weekend. I do believe were there less sponsored posts on this blog in general this particular post would appear less opportunistic. I know this isn’t the popular opinion but in a world where minorities are given less and less opportunity to speak up, all opinions are important.
. Thank you for sharing it!! I too love London, having lived an hour north for three years. It’s a very special city! I’m curious to know where you find music for your videos (we’re working our way through your travel videos right now! :) ). I love to make videos of our little family and always on the hunt for music like this with no lyrics. I’d be keen to know where you find yours! Such a sweet video! Looks like one very magical trip to London! seriously, having lived in London and having watched them in the past few weeks and days, resilience is what makes Londoners Londoners/ Brits are resilient (The London Blitz, anyone). This type of video is exactly what we need because it represents \England. Similar to that guy who, during the attack, was running with his pint in his hand. Or that guy who went back to the restaurant he was at the night before to pay his bill. No need to worried about people’s reactions. This video is THE thing that’s need. Lovely video! I love the disclaimer. While heartbreaking, horrific things have happened in London lately, those events do not detract from the city’s beauty or the memories you made there with your family. As someone who has lived in London for nearly a decade I think it’s great that you still posted the video. London is a wonderful place and it hasn’t stopped despite the few cowardly people who attacked it. What we need is more good, more normality, and for people to keep seeing the great people and things that London has to offer. Amazing video! Shows how wonderful and how much fun the city is. I want to go back! Thank you for showing your love to London, us Londoners are staying strong! We won’t let these people stop us!! Thank you for sharing! Perfect timing for this video. Love this Naomi! Glad you posted. My favorite city EVER. And the BEST with kids! I love your video of London! I absolutely do not think it’s in bad taste–we cannot live in fear! So glad you were all safe on your trip. May I ask about all the songs you have been using in your videos? They are lovely and I would love to know the titles. I’ve been making memory movies for my son whenever he turns a year older but running out of music background idea. I really appreciate your help.